Marcellus Gallio, a Roman centurion, carries out Pilate's crucifixion order. He wins Christ's robe in a dice game. Then, thinking he's been bewitched by the robe, he leaves it with his Christian slave, Demetrius. Haunted by his own guilt, he sets out to find Demetrius and the robe. On his journey, he finds faith in Christ, with the help of the woman he loves. 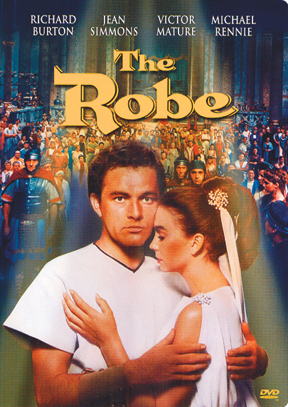 Starring Richard Burton.